Taking into account a product’s life-cycle cost (LCC) - a measurement that analyses a good's impact from production to disposal - is a useful way for procurers to lower the environmental impact of their purchasing. To make LCC easier to calculate, the European Commission is designing a tool for use across Member States. 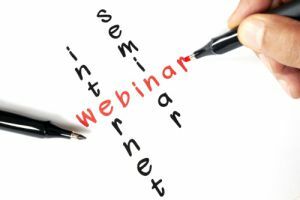 The Commission will present the concept behind the tool at a webinar on 9 June between 14.30 – 16.00. Public procurers, policy-makers, private sector representatives, and stakeholders from NGOs and scientific institutions are invited to provide feedback. In addition to discussing the European Commission’s approach in developing the LCC tool, the online meeting will see the presentation of LCC tools currently in use in a number of EU countries, with an emphasis on the various tools’ strengths and weaknesses. Speakers include Annie Stalberg of the Swedish Competition Authority and Iben Liep Kinch Sohn of the Danish Ministry of Environment. Participation is free of charge. The webinar is organised by ICLEI on behalf of the European Commission and forms part of the service provided through the European Commission's Helpdesk on GPP. 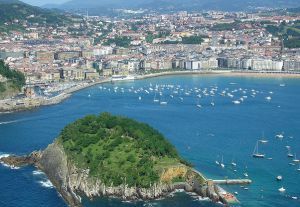 Image copyright: Webinar (Dreamstime.com) by "Atakan"
The Basque Country (Spain) is developing a new Green Public Procurement (GPP) Programme that will make efficient GPP a core component within public organisations. An analysis of the results, strengths and weaknesses of the now expired 2011 - 2014 programme is ongoing, while consultation meetings with representatives of over 50 public organisations were held in the second half of 2014. The feedback derived from these activities will strongly influence the 2015 – 2020 programme. Although results have yet to be fully analysed, it has been found that the 2011 – 2014 programme helped to make GPP part of the political discourse in the region, but fell short in terms of actual institutionalisation of GPP. At present, the overall level of green public procurement is around 30 percent of purchases. While the figure is impressive given the economic challenges faced in the 2011 - 2014 period, it also leaves room for growth. The upcoming GPP Programme will include all public administrations in the region, rather than just the central government as was the case with the 2011 – 2014 iteration, and will see target specifications revised. Existing support, training and market coordination activities will be maintained, and good practice examples will be highlighted where possible. The revised programme will be prepared by IHOBE, the Environment Agency of the Basque Government. For more information, contact compra.verde@ihobe.eus or download the Executive Summary. A revision of the international environmental management systems standard ISO 14001 is nearing completion, with a number of significant changes to its previous iteration foreseen. The final version will be published in October of this year. ISO 14001 is a set of standards that helps organisations to minimise their operations' impact on the environment, comply with applicable laws and environmental regulations in their region, and strive for environmental improvements. In Europe, ISO 14001 plays a major role in the European Union's Eco-Management and Audit Scheme (EMAS), which enables organisations to assess, manage and improve their environmental performance. 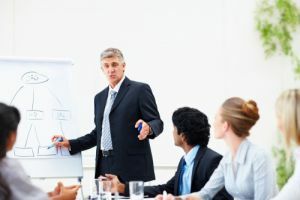 The new version of the standard will focus on environmental concerns being added to the strategic planning processes of organisations, with proactive environmental protection measures expected. 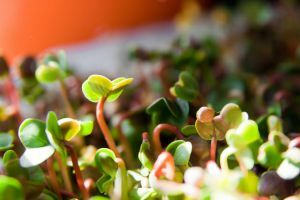 A greater emphasis will also be placed on life-cycle thinking, in which all elements of a product’s impact from its extraction and manufacture to its disposal are considered. The last update of the standard was in 2004; organisations certified under the 2004 edition will be given a period of three years to integrate the 2015 updates. The consultation period which led to the new standards was opened in August 2011. For more information, visit fm-world.co.uk. The EC-funded PRO-LITE project is working with cities across Europe to purchase innovative lighting solutions that offer social and environmental benefits whilst contributing to economic growth. Through the project, the cities of Turin (Italy) and Bremen (Germany) are purchasing lighting solutions that aid education. Turin has spent almost 10 months engaging with lighting suppliers across the continent in preparation for a €750,000 procurement of lighting solutions for schools. The city has used face to face meetings with manufacturers to discuss what is being sought, and to gain feedback on what is currently available on the market. This engagement included touring schools with suppliers, allowing them to get a better idea of the city’s needs. The Free Hanseatic City of Bremen will soon publish procurement documentation for an innovative lighting solution that will help children with learning difficulties integrate into mainstream schooling. Like Turin, the city has spent months engaging with various suppliers and manufacturers, including holding a design workshop to generate ideas. For more information, read the PRO-LITE newsletter [PDF]. The United Nation's 10 Year Framework Programme on Sustainable Public Procurement (10YFP on SPP) has launched the second edition of its newsletter, providing an overview of the progress being made by the programme and information for those who wish to engage with the programme's aims. This edition looks at the adoption of new sustainable public procurement criteria, as agreed on by a committee made up of 11 national governments from each region of the world. The principles will assist countries and organisations in gaining a common understanding of sustainable public procurement. Specific global highlights are also examined, such as the results of the Green Public Procurement Training Workshop in the Philippines, the launch of the Global Lead Cities Network at the ICLEI World Congress 2015, and the translation of the Procura+ manual into Portuguese. The 10YFP on SPP is a global framework of action to enhance international cooperation to accelerate the shift towards sustainable consumption and production in both developed and developing countries. The framework supports capacity building, and facilitates access to technical and financial assistance for developing countries for this shift. 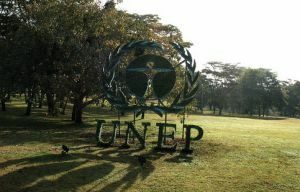 ICLEI, KEITI and UNEP are partners in the programme. For more information, view the newsletter. 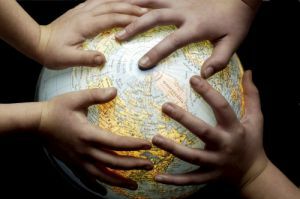 Image copyright: Shared World (iStock) by "Maica"
There is still time to register for the GPP 2020 low carbon procurement workshop in Riga (Latvia), with the registration deadline extended until 15 May 2015. The workshop will look at how to move beyond policy aims to practical implementation of low-carbon procurement processes. Sessions will focus on the implementation of local sustainable procurement policy in Latvia and the use of environmental targets to boost economic growth. GPP 2020 partners will be on hand to share their experiences in implementing tenders with impressive cumulative savings of more than 150,000 tonnes CO2e to date. Speakers will provide an insight into good practice, smart solutions and how to overcome obstacles while driving low-carbon public purchases for supplies (e.g. ICT and Vehicles), services (e.g. mobility services and Energy Performance Contracting) and works (e.g. road infrastructure). ICLEI Europe’s Philipp Tepper will lead the workshop, with speakers including Leendert van Geldermalsen of Rijkswaterstraat, The Netherlands, and Lidia Capparelli of CONSIP, Italy. A market lounge event will provide further information on funding opportunities and practical tools to help calculate carbon savings and implement low carbon tenders. Participation in the event is free of charge, but registration is required using the online registration form. For more information, visit the GPP2020 website. Image copyright: Man Giving Training (Dreamstime.com) by "Yuri Arcurs"
A new guidance document on the integration of social criteria in public procurement from a legal and development perspective has been published by by Angela Schmitz of the German NGO Eine Welt Netz NRW e.V. and Katharina Strauß of the law firm Cornelius Bartenbach Haesemann & Partner. The document aims to help public procurers avoid the purchase of products that have been made under conditions that violate social and labour rights. The various options for integration within a procurement procedure are explored, with a particular emphasis on the tender evaluation stage. Voluntary agreements with companies over the last decades have in many cases not led to a significant improvement in working conditions, particularly in factories in Latin America, Asia, and Africa. 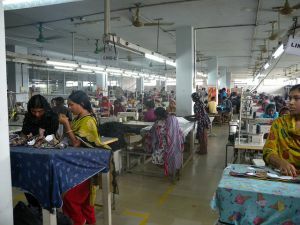 The use of social criteria in the award procedure is intended to address this more concretely, resulting in reduced instances of slavery, trafficking, forced labour, child labour, wages that fall below the subsistence level, ill-treatment in the workplace and exploitative working conditions. The guide provides practical advice from a legal standpoint on how the successful use of social criteria in the procurement process can lead to an improvement in the living standard of millions of workers. Provisions for social criteria under the new EU Procurement Directive are also explored. For more information, download the guidance document [in German].